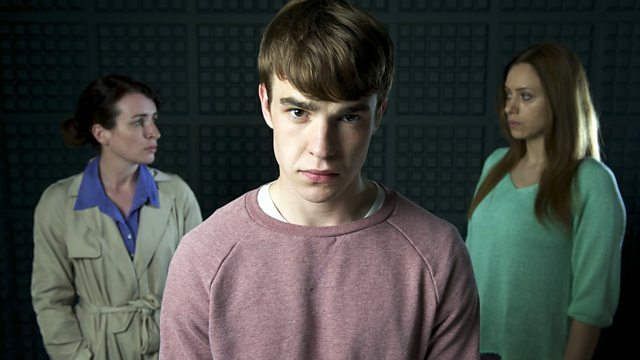 Jimmy McGovern's drama based on the UK's joint enterprise law. When 17-year-old Johnjo gives his cousin and his friends a lift, he finds himself implicated in a stabbing. Multi-award-winning writer Jimmy McGovern's brand new film based on the UK's controversial joint enterprise law. 17-year-old Johnjo gives his cousin Tony and his mates Colin and Kieran a last-minute lift in his brother Patrick's car. They tell him they're going for pizza; Johnjo doesn't know that they're going to 'have a word' with a local loudmouth who needs putting in his place. As Johnjo waits in the car, Kieran takes offence with an innocent bystander, Thomas Ward, who is fatally stabbed. The murder victim is the eldest child of Margaret and Tommy Ward, who has become estranged from his family after a bitter divorce. Struggling to make ends meet on her own, Margaret is nevertheless determined to fight through bureaucracy and the cool indifference of the banks to give Thomas the send-off he deserves. Johnjo makes his own way to the police station and asks for DI Hastings. A career copper used to doing battle with 'no comment', Hastings can't believe his luck as Johnjo lays the blame squarely with Kieran. But Hastings wants everyone possible to be tried for murder, and with the joint enterprise doctrine at his disposal, that includes Johnjo. Documentary looking at three men who were convicted using the law of joint enterprise. Clip: How fair is joint enterprise?